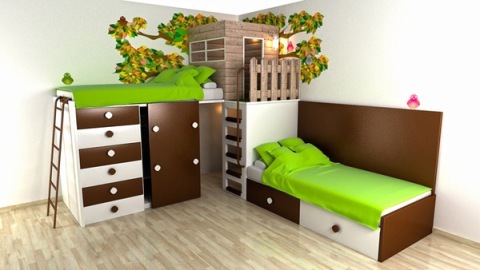 There are a few steps enable you to design the children’s bedroom without any help of interior designers. At first, determine whether your child will share the room by brothers or not. Decide the theme of the bedroom. Take into consideration your child’s age, gender, personality, location of the room and space available. Certainly most people associate pink with girls and blue with boys. Today, Bright colors, such as yellow, red and green become familiar for the children’s bedroom. Water-based paint is a favorite choice to make cleaning easier. Other options like wallpaper, faux finish plaster and tiles cladding in square and rectangular shapes are available. Light pieces can provide your interior design with the right illumination which suites your child desires to read and play. You could use smooth, sleek and compact light for desks, tables and chairs which make up the study area. Place floor lamps near the play area. 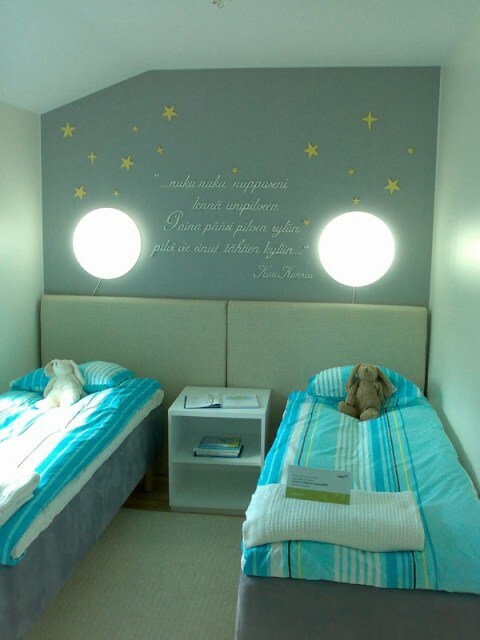 Add lights with dimmers to enable your child to sleep deeply. The first thing to consider when you select the flooring for your children’s bedroom is safety. The floor must be not slippery or made of substances that cause allergies. The best options are wood flooring and carpets. Select the essential pieces of furniture for your children’s bedroom like a bed, cupboard, bookshelf and a study table. Bearing in mind they have rounded edges. The materials and colors of the pieces must be of good qualities. You could decorate the window as an artwork. To do this, use stencils that come in many shapes. You can also use shadows to create a stained-glass panel. You could adorn the children’s bedroom with cartoon figures like Winnie the Pooh, Mickey and Donald and Garfield. Designs like cars and rockets are good also. If you need inspiration you can get some by eyeing the next amazing pictures .